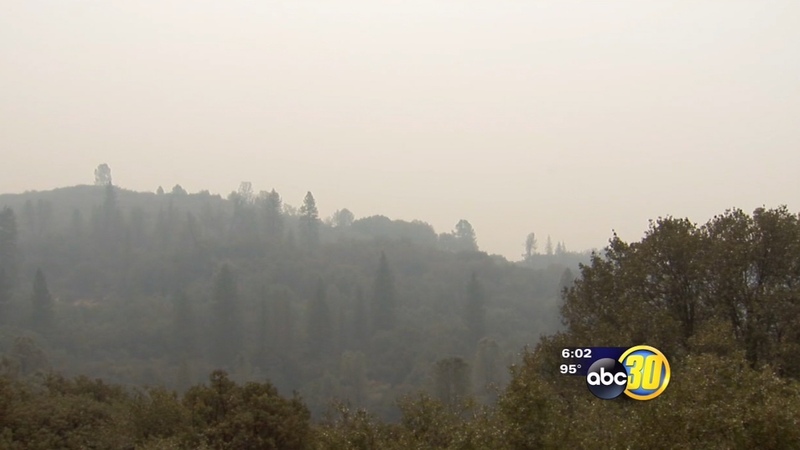 FRESNO, Calif. -- The Fresno County Sheriff's Office says new mandatory evacuation notices are being issued due to the massive Rough Fire burning in the Sierra National Forest. The fire has scorched more than 95,000 acres and is 31 percent contained. The Red Cross has set up an evacuation center at 730 Recreation Avenue in Sanger. Due to changing conditions of the Rough Fire, the Fresno County Sheriff's Office is informing the public that effective immediately, mandatory evacuation notices are being issued to certain residents near where the Rough Fire is burning. This is a fluid situation and there is no time table for when these mandatory evacuations will be lifted. The impacted area is to the north of the Highway 180 / Millwood Road intersection in Dunlap. More specifically, we are focusing on the area of U.S. Forest Service Road 12S01 and Sampson Flat Road as the most southern point. The community of Crabtree is the most northern point. The western border is U.S. Forest Service Road 12S19 and the eastern border is Cherry Gap, which is near the intersection of U.S. Forest Service Road 13S03 / Hwy. 180. According to Penal Code Section 409.5 (c), any unauthorized person who willfully and knowingly enters an area closed pursuant to subdivision (a) or (b) and who willfully remains within the area after receiving notice to evacuate or leave shall be guilty of a misdemeanor. This misdemeanor occurs only if a person both enters a closed disaster area knowing it to be closed and subsequently refuses to leave when ordered to do so.